For an artistic art display that's sure to make you go cuckoo! This Cucu Ruku Cuckoo Clock would make a delightful addition to your home. Whether you place it in the living room, kitchen or even a bedroom, it's bound to get noticed. 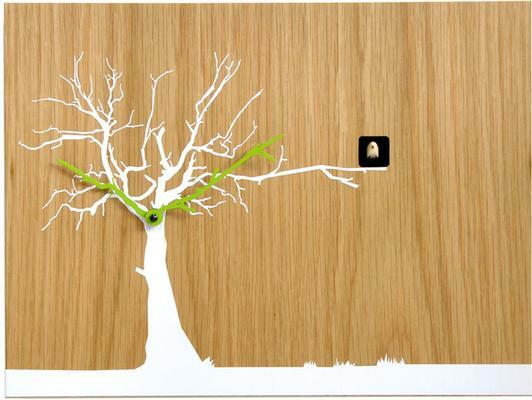 The clock features a natural wall base and on it is a tree silhouette in white. The branches are extending everywhere and right in the middle portion are two bright green clock hands. 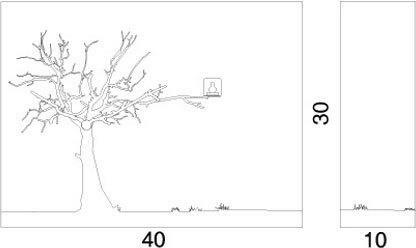 On one branch, right by the tip, there's a small box and a cool little cuckoo comes out every hour to let you know the time. Neat, right? Keep this one for yourself or maybe give it as a present. It will surely be appreciated. Note: Please note that these clocks are made to order so expect 2 - 3 weeks of delivery time from the moment the order was placed. These will be absolutely worth it though.